I read Wildlight a few weeks ago – the first person to borrow it from my local library. What an exquisite book! I love your beautiful prose and found myself noting some of the passages from the book. Vivid descriptions, evocative sounds and smells (the mutton birds and the tea tree) – made me slow down and savour it even though I wanted to devour it in one sitting. I have now bought my own copy 🙂 and it will be my first book review on my new website. Thank you for a great novel … and although I will recommend it to everyone, I won’t be lending it to anyone. I really appreciate your praise for Wildlight. Your reflections reminded me of just what a sensory place Maatsuyker Island is. Good on you for supporting literature through both your library and bookstore! Hi Robyn, thanks for the very informative post… When someone recommends a book to me, I try to borrow it from the library and then if I love it, I want to own it so I buy a copy. I didn’t know about the Government royalty payments for books held in a public library…good to know. One other point… in our (ageing) household we are increasingly concerned about accumulating objects, even books which seem to have so little recycle value these days (some of our local charity shops no longer accept books and our library won’t take anything more than a couple of years old)… so I try to buy e-books when I can. What are your thoughts on e-books wrt to royalties and author benefits? Marg. Thanks for these insights. A correction on my part re Public Lending Rights: the royalty is paid on the number of books held in Australian libraries, not the number of individual loans. As for ebooks, the author also receives a royalty from the publisher each time somebody buys an e-copy. As you know, ebooks are less expensive than the printed versions, so while the royalty percentage may be the same, the actual amount an author receives is less. Nonetheless, I am sure I speak for other authors by saying we are very happy to have readers buy our books in either format. I like the way you think! With the benefit being that more copies are available to interested readers. Good on you, Amanda! It’s interesting the practice of loaning out books to people. I mean we don’t loan out our cooking pots or pans or items of clothing. Have libraries inadvertently “normalized” this practice? I try hard not to loan out books, for reasons already mentioned. Instead I usually buy books for people. I think most people are clueless about how little authors get, so I make it my business to inform people how authors basically live on thin air, whenever I get the chance. It is a curious thing, what we choose to loan out and the things we would resist loaning! As far as people’s understanding of the realities of publishing, I think Amanda’s comment below hits the mark. If the only information we see, en masse, focusses on the JK Rowlings of the writing world, or an individual author winning a great pot of money, it must sway the every day person’s understanding of where 90% of writers sit. Thanks for your excellent reply. Robyn, being a self confessed bibliophile, I have to say I can’t bear to lend any of my books – be they reference or novels – for the simple fear of them never being returned! Reference books become part of my library and novels, by the time I have reached the last page, are like old friends and I don’t give my friends away. I simply don’t lend and my friends know not to ask. However …. this does become expensive for me. If I read a book that I really enjoy and have a friend that I know will also enjoy it …. I usually end up buying another copy to give away to them!! I don’t want them to miss out on the experience of reading it – but they are not getting their hands on my copy. Debbie, I’m nominating you and all others who gift a book as patron saint of authors. I have a wonderful mind image of you surrounded by the books you treasure. Bravo! I’m sure most readers don’t understand the fragility of the publishing industry and the near-impossibility of an author being able to recoup the investment of years put into their work—especially when the only time they might hear about this other side of publishing is in media reports about JK Rowling’s sales. Posts like these help to raise awareness, so well done, Robyn. You have hit the mark, Amanda. If nothing else, I hope the post helps people understand the reality of the publishing process. Thanks for this feedback. I don’t wish to diminish the importance of writers and artists being paid a living wage in our society, but I would like to ask a question. If it comes down to being borrowed and read or not purchased/borrowed and not read, isn’t it better to be borrowed and read? Unfortunately for many readers (particularly in the current economic environment) it does come down to this. I am an avid reader, but my weekly income leaves only enough for the occasional purchase from the $4-$5 book table at the DDS or at second hand book stores or school fetes. If I want to read a new author or new book, I join the reserve list at my local library. The alternative would be to not read or engage with new and topical writing and ideas. Hello SD, Thanks for your thoughts on this. I appreciate that we all have differing budgets. Borrowing from the library is an ideal avenue for reading new and not-so-new books; an avenue, I hope I expressed in the post, that works all round, benefiting reader, author and publisher. When people tell me that they lend books to their friends, it isn’t meant with ill intent, but it does show a gap in understanding of what this practice on a regular scale ultimately costs an author whose livelihood depends on book sales. The example of the book club a case in point. If people read this post and decide to keep lending, so be it. At least the choice will come from a basis of understanding. Robyn, you have said what I, am most other authors, feel. I don’t know how many times people, friends even, say with bright smiles “I’ve just lent your book to … they loved it!” Shudder! It is such an insult, even thought they think it is a compliment. I think it comes down to people being uninformed about publishing without ever realising their huge gaff. One reader of my first novel assumed I simply sent my manuscript to the publisher and instructed them on how many copies to print. If only! As I declared in my post, I have loaned and borrowed books on occasion. Fellow author Annabel — see comment below — offers a measured look at this. I can rest easy that I am way in front when it comes to book purchases. When this happens to me I jokingly say, ‘Right, you owe me $2.50!’ I don’t feel insulted by it though. As Robyn says, many readers simply have no idea how difficult it is for authors to make money. Some great points here, Robyn. I too lend (and borrow books) and I think this is okay in moderation, as long as people who lend and borrow books also support the book industry by buying books as well (which I do). The model for the book club you visited is one which would put most writers out of business – as if we aren’t hanging on by a thread already. I’m right with you on people’s gripes abut the cost of a book vs the cost of other things. I recently read a tweet drawing attention to the fact that most people don’t even blink at paying $5 to $7 for a greeting card – a piece of cardboard and some cheesy words, but object to paying for a book. I say handmake your cards and buy books instead! I like these sentiments, Annabel: your approach to loaning and to supporting the industry by buying books. Thanks for offering another way of thinking about it. Greeting cards, yes; when I compare the cost of a Hallmark card, it’s startling! Have just read ‘Cost of a Book’ and feel compelled to confess if I wish to read a book, I always buy it – I just love having and keeping all books I read. If I enjoy a book, I certainly encourage friends to read but seldom share – have been caught out once too often with people not returning a book! Now, whenever I buy a book, I will think of Robyn’s ‘Cost of a Book’ and remind myself I am not being frivolously extravagant, I am doing my bit to support both and author and a publisher! You are a champion, Dana! 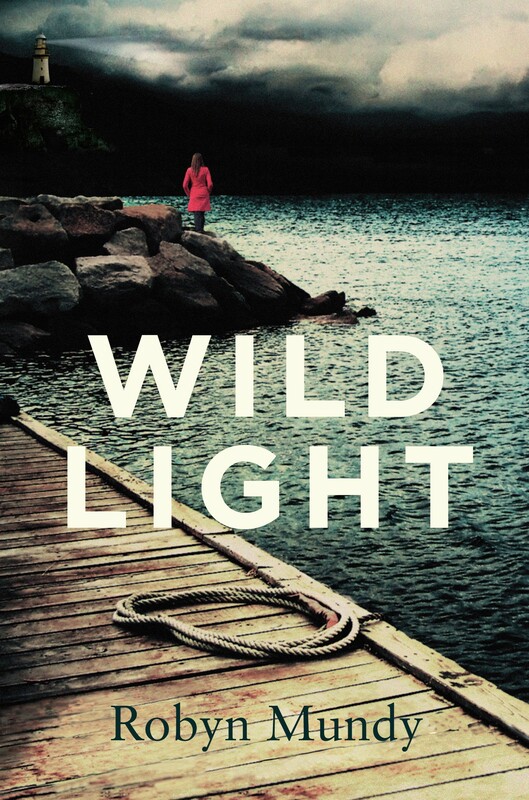 Keep up the good work, and many thanks to the Occasional Book Club for choosing and liking WILDLIGHT last month.